Get an early bird discount until end of March 2018! 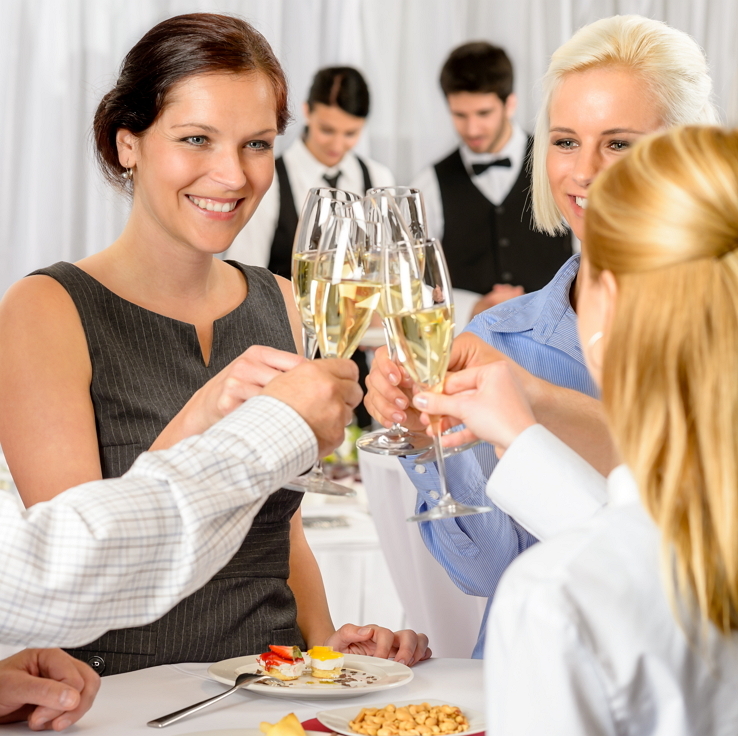 We want to provide you an exciting event and to make sure things run smoothly. However, if you have questions please contact join@pefschool.com. Lectures will be given by leading international PEF experts. Get to know them. Henry Jäger is Professor of Food Technology at the University of Natural Resources and Life Sciences (BOKU) in Vienna. He moved back to academia from an industry position in Research and Development at Nestlé where he worked on process development in the field of preservation technologies. Before, he was researcher in the Department of Food Biotechnology and Food Process Engineering at Technische Universität Berlin where he also obtained his PhD and an Engineering Degree (Dipl.-Ing.) in Food Technology. His research field covers the application of alternative food processing technologies for gentle food preservation as well as the targeted modification of food structures. Lecture: Alternative technologies for the application in food and bioprocessing. Robin Ostermeier got in contact with pulsed electric fields in 2013 the first time by writing his master thesis at the University of Applied Science, Osnabrück in cooperation with Elea about PEF and sweet potato processing. Since that he is part of the R&D team at Elea focusing on snack applications such as French fries and chips. Being involved in many snack related customer and research projects traveling around the world he has gained established expertise in industrial scale PEF snacks processing. In parallel to this he started his PhD 2016 at the University of Natural Resources and Life Science, Vienna about the influence of PEF treatment on the convective drying of fruits and vegetables in industrial scale. 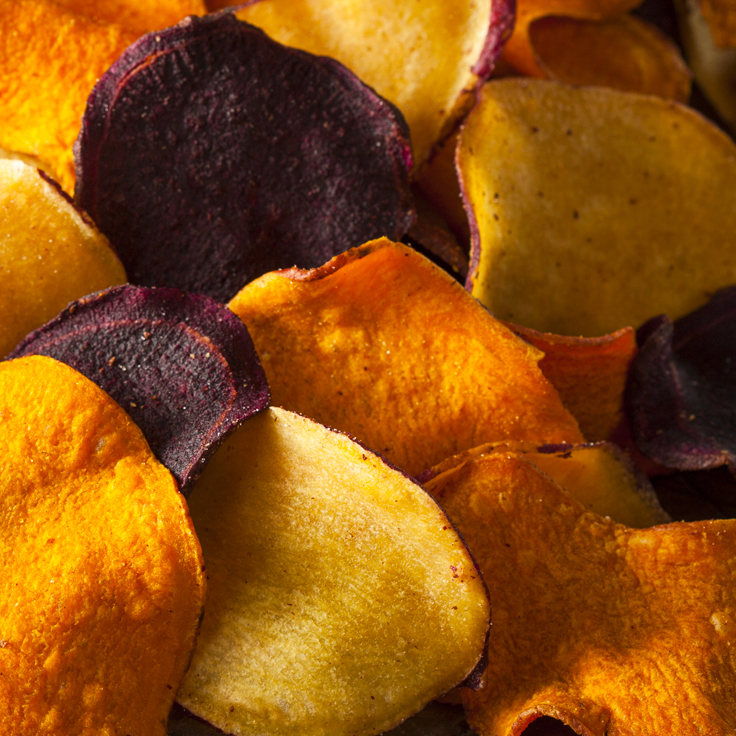 Lecture: Why PEF-technology will revolutionize the snack world. Dr. Sergiy M. Smetana works as a Head of Food Data Group at the German Institute of Food Technologies (DIL e.V.) since 2017. However, he joined the institute in 2013 and was responsible for sustainability assessment of food and food technologies. Before that he worked as a visiting scholar (Fulbright fellow) in Brook Byers Institute of Sustainable Systems (Georgia Institute of Technology, Atlanta, GA, USA) for a year and 6 years as an engineer in Institute of Nature Management and Environmental Problems (Ukraine). During his career he was responsible for environmental impact assessment of technologies (related to food, mining and landscape construction). The main focus of current activities includes sustainability assessment of innovative food processing technologies and data application for the analysis of complex food systems. Lecture: Life cycle thinking with emerging processing technologies: case of PEF. Damijan Miklavcic was born in Ljubljana, Slovenia, in 1963. Ljubljana in 1991 and 1993, respectively. Laboratory of Biocybernetics at the Faculty of Electrical Engineering, University of Ljubljana. and hardware development for electrochemotherapy, irreversible electroporation and gene electrotransfer. Lecture: Biomedical applications of electroporation. Dr. Kemal Aganovic is a food technology engineer with a focus on conventional and alternative food technologies. Since completion of his master course Food science and technology at BOKU, Vienna in December 2011, he engaged at the German Institute of Food Technologies as a Marie Curie ITN fellow on FP7 “HST FoodTrain” European project. In February 2017 he has received a PhD in Bioscience engineering at the KU Leuven, Belgium. Since then he works as a group leader of alternative technologies and a deputy manager of the research platform Advanced research. His main research focus lies on impact of alternative technologies on food quality, their scale-up possibilities and industrial applications. He is an author of 10 publications, 2 patents, 3 book chapters and receiver of two awards. Lecture: Application of hydrodynamic pressure treatment for tissue disruption. Claudia Siemer is R&D Manager at Elea and got first in touch with PEF in 2008. After studying biotechnology at the Technical University in Braunschweig, she performed her master thesis in cooperation with the German Institute of Food Technologies (DIL e.V.) and Nestlé about PEF technology. Afterwards, she continued working at DIL and finished 2014 her PhD on spore inactivation by PEF at the Technical University Berlin. Since 2014 she is leading the R&D department at Elea and giving lectures at the University of Applied Sciences in Osnabrück. Lecture: Potential of PEF treatment for decontamination of liquids. Stefan Toepfl is food technologist and received his PhD in food process engineering at Berlin University of Technology in 2006. As Advanced Research Manager at the German Institute of Food Technologies, DIL, he is active in process design and realization of processing equipment with a focus on pulsed electric fields, static and dynamic pressure applications, supercritical fluids as well as snack and protein extrusion. He is the Managing Director of the DIL spin off Elea GmbH, manufacturer and distributor of Pulsed Electric Field systems. Since 2009 he is professor at the University of Applied Sciences, Osnabrück, Germany, focussing on sustainable food process techniques. Lecture: Industrial application of Pulsed Electric Fields. Food Engineer (PhD), a graduate of Warsaw University of Life Sciences (WULS-SGGW) and Ghent University. The leader or research team which works on nonthermal technologies utilziation in food industry, especially pulsed electric field in drying applications. The author of more than 40 publications and book chapters. Wolfgang Frey is Team Leader in Bioelectrics at KIT/IHM. He was an Assistant Professor with the High Voltage Institute at the University of Karlsruhe, focusing on on new pulsed power concepts, high voltage test engineering and switching. Wolfgang Frey received the Phd degree in high voltage technology and plasma physics from the University of Karlsruhe, Germany. He started with pulsed electron beam surface coating, worked on electrodynamic fragmentation technology and turned to pulsed electric field effects on biological material in 2001. He focussed on applied research on pulsed electric field treatment for bacterial decontamination and cell component extraction and on basic research for ns-timescale membrane-voltage-dynamics measurement. His current research interests include PEF processing in microalgae biorefinery, stress responses of microalgae due to ns-PEF exposure and bacterial decontamination of industrial processing water streams. Lecture: Basics on Repetitive High Voltage Pulse Generation. Javier Raso received his PhD in 1995 at the University of Zaragoza (Spain) where he is currently professor of Food Technology and former Director of the Pilot Plant of Food Science and Technology. He has been visiting researcher of the Microbiology Department at Unilever Research in Bedford (UK), of the Department of Food Biotechnology and Food Process Engineering at Technical University of Berlin (Germany) and of the Biological Systems Engineering Department at Washington State University (USA). His areas of research are in the field of food preservation and processing by thermal and non-thermal technologies such as ultrasound, high hydrostatic pressure, pulsed electric fields and combined processing. Research interest is focused in critical factors affecting efficacy of technologies, kinetics and mathematical modeling, process optimization and mechanisms of action. He has been involved in a number of EU and national funded projects in these topics and he is the author of more than 100 peer-review papers and his work has been cited over 5,000 times (h index=44). He is co-author of the book “Pulsed Electric Fields Technology for the Food Industry” and he is serving in the editorial board of the “Innovative Food Science and Emerging Technologies” journal. He was Vice-Chair of the COST Action TD1104 “European network for development of electroporation-based technologies and treatments (EP4Bio2Med) and coordinator of the project FieldFOOD of the Horizon2020 Framework Program of the European Union. Lecture: Microbial inactivation by PEF: fundamentals and applications. Giovanna Ferrari is Professor of Chemical Engineering at University of Salerno and President of the Board of Directors of the Consortium ProdAl (at UNISA), whose core business is mainly related to technology and innovation transfer to industry. She was visiting researcher at the University of Wageningen (NL) and Visiting scientist at the Experimental Station of DuPont de Nemours Company, Delaware, USA. Her research activity is mainly focused on the study of novel technologies and their application in the food industry. She is author of more than 250 papers in the field of food engineering and powder technology. Lecture: Effects of PEF on plant tissues. Lecture: Historical background of PEF technology. James Lyng is Professor in Food Science at the University College Dublin. His research focuses on the use of emerging thermal (microwave, radio frequency wave and ohmic heating) and ‘non-thermal’ technologies (ultrasound, high voltage pulsed electrical fields and light (Ultra Violet Light, Blue Light and High Intensity Pulsed Light) in the processing of foods with particular reference to the assessment of these technologies for accelerating reactions and/or preservation and their impact on product quality/nutritional value. In addition, and more recently my research is also focusing on the evaluation of these technologies for extraction of bioactive compounds from foods. My success in securing research funding has established a critical mass of equipment/expertise in innovative food processing technologies at UCD. He is Vice President of the Institute of Food Science and Technology of Ireland, External examiner for Undergraduate (Waterford Institute of Technology, Dublin Institute of Technology) and Postgraduate (Reading University) degree programs, IFT Member, IFT Certified Food Scientist, Member of IFT Non-thermal Processing Division. Peer review of numerous scientific journals. He has hosted a number of national (IFSTI 2014) and international (3rd PEF School 2016) scientific conferences and was vice president of IFSTI, in the year they hosted the 18th IUFoST World Congress (2016). This year we have expanded the school progamme to include most innovative up to date range of PEF topics. Familiarity with the history of PEF helps us to understand PEF today. This lecture opens the door on to this amazing world. Pulsed electric energy is one of the most successful methods to open living cells in vitro. This lecture describes the factors controlling electro-permeabilization of cells. The effect of the different electrical parameters will be outlined. Various applications of PEF, spanning from basic research to industry, demand for different high voltage pulse generation concepts. During this lecture, you will be able to observe the different pulse generator concepts and basic designs of treatment chambers. This lecture will introduce you the effects of electroporation on different plant tissues (roots, fruits, vegetables, herbs, etc.). At the same time, it will describe the most interesting applications of PEF in the food industry such as “cold” extraction, fast freezing, improved drying, etc. This topic presents you a possibility to see and understand another application of PEF as non-thermal method for inactivating microorganisms in liquid foods. Particular attention will be devoted to the proposed microbial inactivation mechanisms and its influencing parameters. During this lecture, you will realise that beside microbial inactivation, PEF can also retain the health-related compounds, and greatly extend the product shelf-life. Moreover, you will see new opportunities, quality and value for juices and smoothies after PEF treatment. This theme will open you the secret door to the PEF industrial world. The recent industrial implementation as well as industrial opportunities for PEF technologies will be presented. PEF can be used not only for food and non-food treatment but as well for the medical application. The lecture will present you how PEF can intensify the chemotherapy treatment and how it can help to save the humans live. Practical system thinking of PEF application. Learn to consider negative and positive aspects of PEF technology application in the domain of sustainability (costs and incomes, nutrition and health, resources and emissions). The practical courses aim to provide hands-on experience on major topics relevant for PEF applications. We will offer three different laboratory workshops: Microbial inactivation; plant cell electro-disintegration; pulse generation and equipment design. Theoretical knowledge and hands-on experiences in pilot plant scale are just the beginning. As a round up, you will be able to see operating industrial PEF systems at our local industry partners. This will allow you to get insights into industrial dimensions. 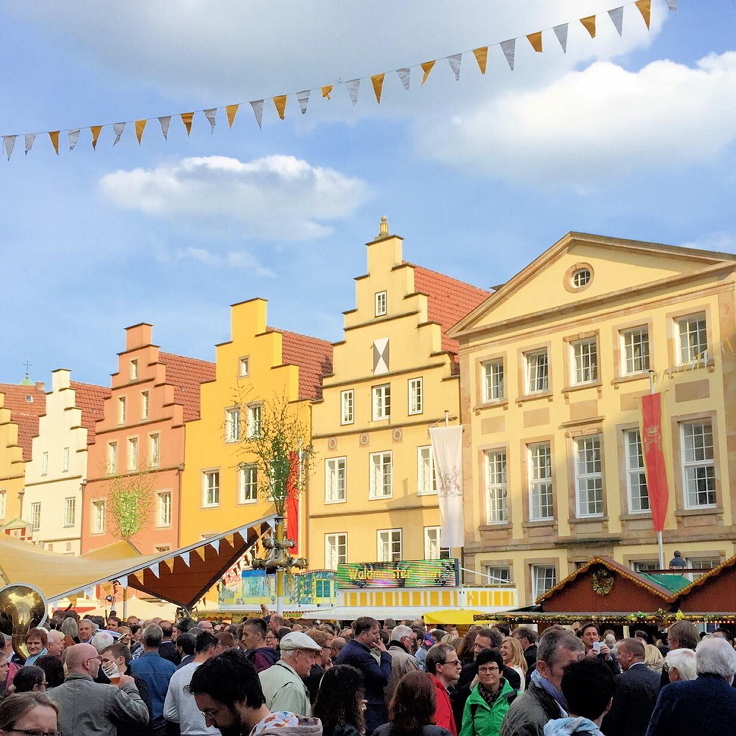 After lectures, there will be time to attend dinners and get to know the cities of Osnabrück and Quakenbrück. Several local events will take place during the PEF school week that will be worth exploring. You can register your PEF school place now. Abstracts can be submitted for approval up until 15th April 2018. Within the 5th PEF school students, academic and industrial researchers will have the opportunity to refresh and improve their knowledge on PEF technology. Beginning from the basic principles, the school is focused on the application of the technology on various food and bioprocessing applications. Lectures will be given by leading international PEF experts and workshops will give an insight on theoretical knowledge. Combined with a social programme, an interesting and memorable week is guaranteed. Topics of the PEF school will be ranging from structure modification by PEF for an increased extraction yield or quality improvement of snack products to shelf stable fresh juices. Moreover, insights will be given on Life cycle assesment (LCA) and shockwave application for cell disintegration. Besides all the theorectical and practical works, all participants have the chance to extend their network and to facilitate the cooperation between research and application as well as between academic and industry. During the PEF school there is time for presentations on topics about pulsed electric fields. Submit your abstract here for your 10 min presentation using the document provided below and upload it as a pdf. All presentation will be evaluated by a special scientific committee and an award will be given to the 3 best presentations. Attend one day of practical insight and gain hands-on experience in Pulsed Electric Field technology at Elea's custom build pilot halls as well as in DIL's diverse technology labs in Quakenbrück. 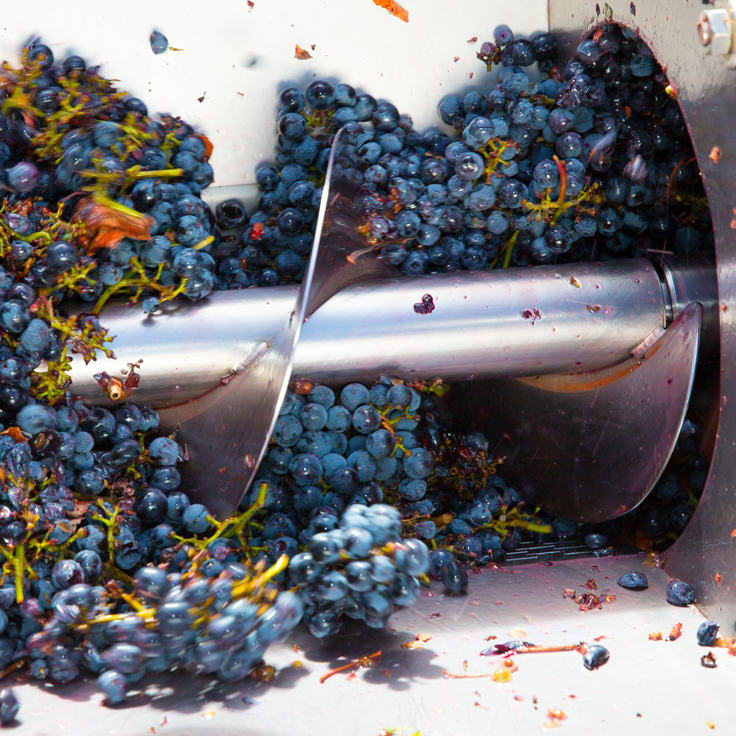 Focus of this course is the analysis of yield increase by PEF treatment. PEF is able to perforate the cell membrane and as a consequence the extraction of liquid or valuable compounds is increased. Within this course, apple juice will be produced and the influence of PEF as well as different pressing methods will be studied. 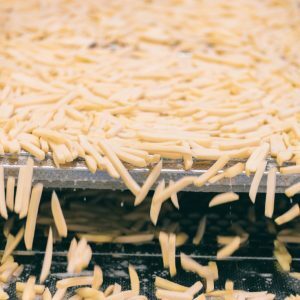 Applying PEF prior to French fries and chips processing results in lots of quality and economic benefits throughout the whole production process. This course will give new insights and practical background information regarding the process, raw material, product development and improvement of the whole downstream process. During this practical course, you will perform the PEF treatment of solid plant raw materials. Subsequently, you will fulfil the effect of PEF on different plant tissues and will be able to quantify its cell disintegration index. Moreover, you will observe and evaluate the impact of PEF on following processes, such as drying, extraction, cutting, peeling, etc. Shockwave or hydrodynamic pressure processing is application of high pressure produced by electrical discharge under water in fractions of milliseconds. The shockwave propagates through the water high-energy and any objects that are an acoustical match with water. 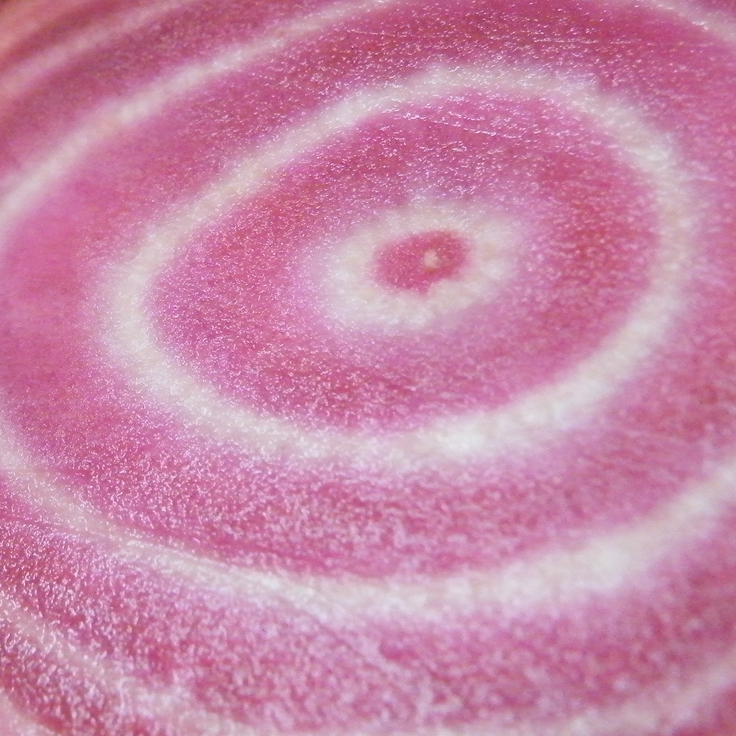 As foods such as meat, fruits or vegetables are composed mostly out of water, the pressure crosses the product and creates a mechanical stress that disrupt the structure. The participant will be able to see a continuous prototype for shockwave treatment and a demonstration on several different food products. 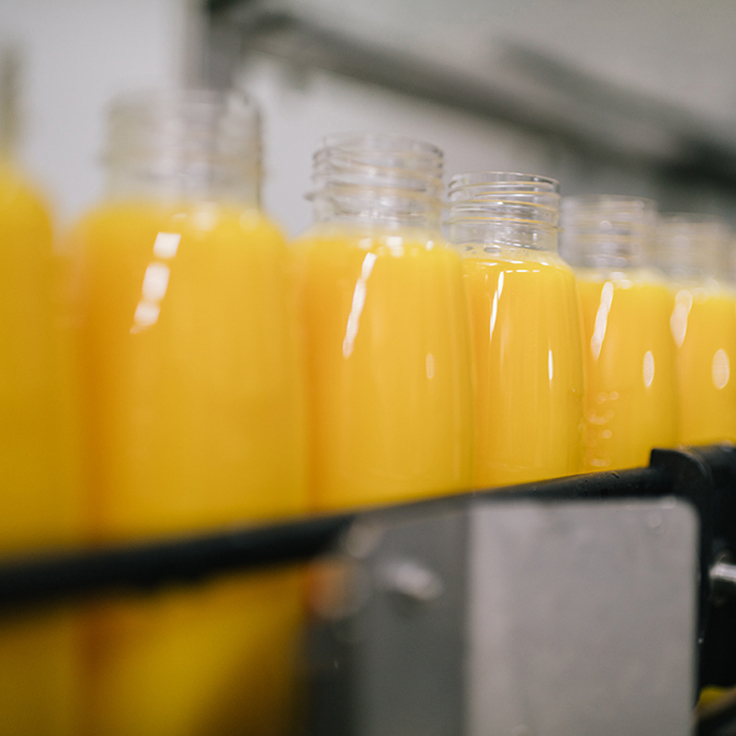 Usually a thermal pasteurization is used to extend the shelf life of fresh juices. This treatment provides the required microbial safety, but it also has negative effects on the quality of the product in terms of taste and nutritional value. Within this workshop, the participants will prepare fresh juices, such as strawberry smoothie or green vegetable juice, and treat it by PEF. Samples will be taken and stored for a comparison with thermal treated sample. The course is aimed to develop practical system thinking skills (in application to PEF), which will be helpful in the consideration of the new processing technologies development and implementation. Participants will learn to consider negative and positive aspects of PEF technology application in the domain of sustainability (costs and incomes, nutrition and health, resources and emissions). System thinking skills will be tested in practice for PEF equipment construction (DIL workshop), and LEGO based modelling for the use phase (potato processing example). 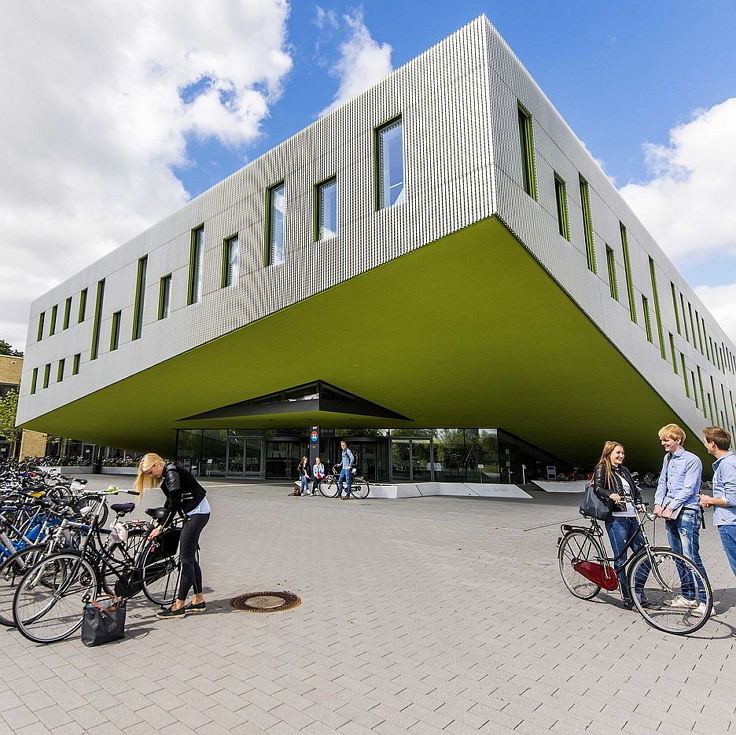 The school takes place at University of Applied Sciences Osnabrück, DIL and at Elea's state of the art facilities located in beautiful village Quakenbrück. The lectures will take place in an school-like environment at the University of Applied Sciences Osnabrück, Campus Westerberg, Barbarastraße in 49076 Osnabrück Osnabrück. Building SL, room SL0008b. The best options to come here are by bus to station ‘Campus Westerberg/ICO’ (or alternatively to station ‘Sedanplatz’ or ‘Hochschulen Westerberg’). There are a lot of parking opportunities near by the University of Applied Sciences Osnabrück, Campus Westerberg, as well. Welcome to the ‘city of peace’. Osnabrück’s role in the Treaty of Westphalia led it to adopt the title ‘Friedensstadt’. Osnabrück is an anxient city in Lower Saxony and worth it to stay some days … and nights. Best hotels with good transport connections are visible in the map and in the link below. 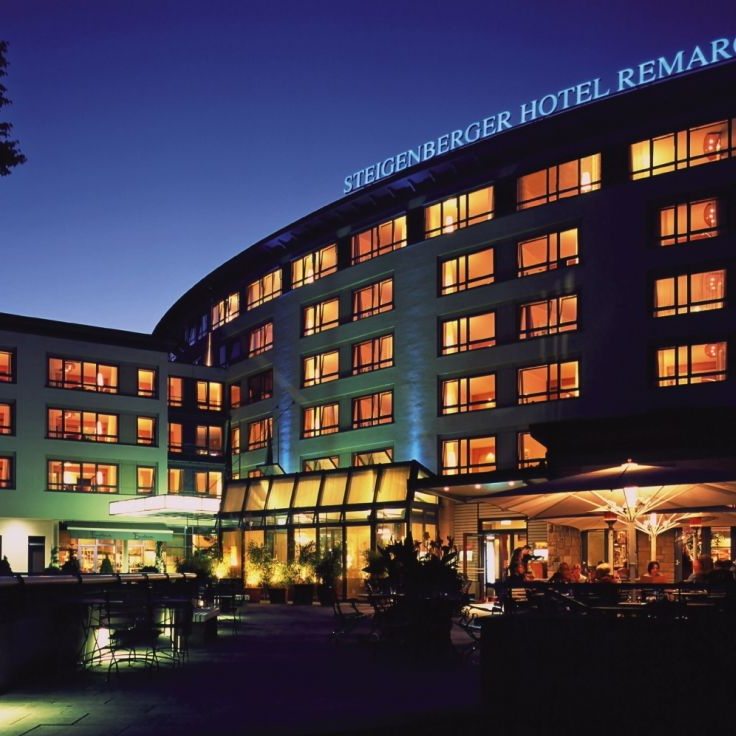 We have reserved a contingent of hotel rooms for the PEF scool participants and speakers in the Intourhotel and Steigenberger Hotel. During the PEF school we will visit our industry partner Wernsing Feinkost GmbH, a German manufacturer of potato products and delicatessen salads. Wernsing implemented one of the first Elea PEF systems into their French fry processing line in 2012, replacing their installed traditional preheater. 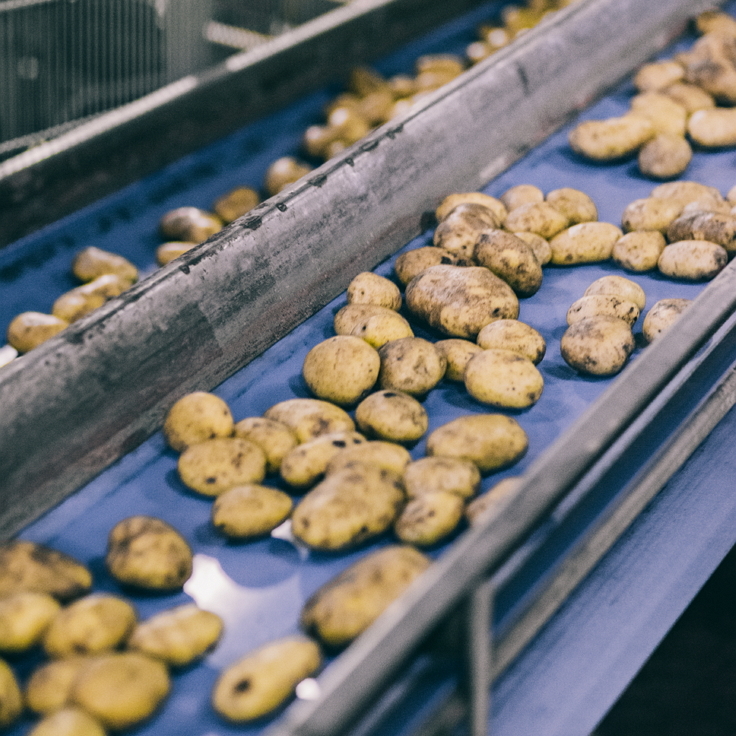 The Elea PEF systems can handle throughputs of up to 50 t potatoes per hour. Experience industrial scale operating PEF systems and discover a PEF story of great success. After the lectures and practical courses you have the opportunity to network and relax in sociable atmosphere. The first PEF school day will end with a welcome evening, snacks and a tour around the University of Applied Sciences Osnabrück. During the PEF school, the ‘Maiwoche‘ takes place in Osnabrück. This city festival invites to have a good time with music, street food and more. We will organize a night watchman tour in beautiful Osnabrück city at May 15th. When in 1913 the last night watchman made his rounds through the city, ended a nearly 250 years old tradition. The so-called auxiliary police sergeant not only ensured peace and order on the nocturnal streets, but he should also intervene in case of fire danger and “unauthorized manure pile”. 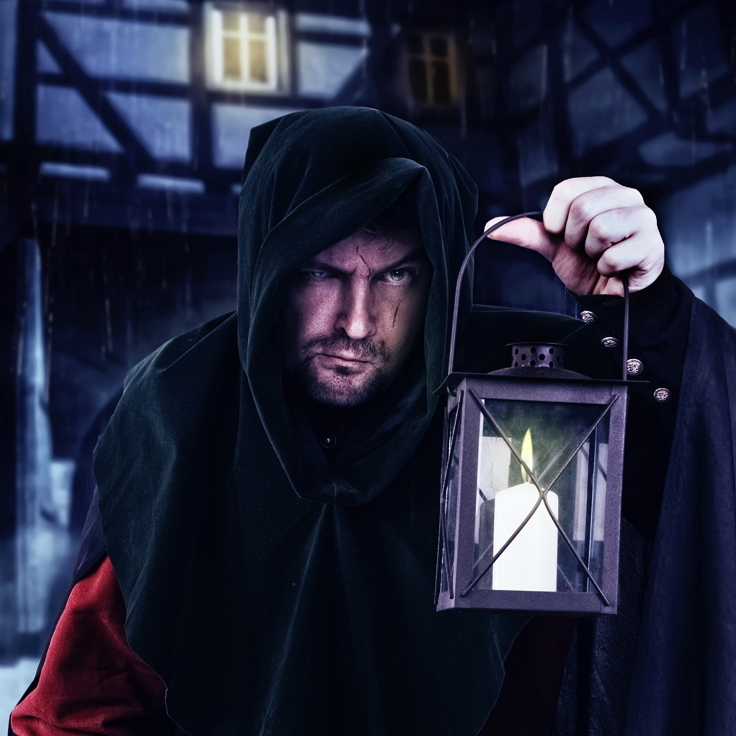 Equipped with small lanterns, the orderkeeper leads you through the night to present you Osnabrück in a very special glow – by candlelight. On Thursday 17th will be a dinner. More info coming soon. PEF school is brought to you by the worlds leading authorities and innovators in Pulsed Electric Field. With around 150 member companies from the food and related fields, the German Institute of Food Technologies operates as a research institute working in the areas of product development, process development and analysis. Forming a bridge between science and practice, DIL supports its partners in the innovation process. With its various research platforms, DIL has exceptional R&D capacities that can be implemented effectively with the support from the business divisions. The University of Applied Sciences Osnabrück is the largest and highest performing university of applied sciences in Lower Saxony, Germany. The university is actively involved in society and sees research as an essential contribution to practically assist in solving socially relevant issues. The University of Applied Sciences Osnabrück maintain close industrial links with leading companies in several areas. Thanks to our wonderful sponsors! This event is possible thanks to the involvement of our sponsors, academic and industry partners.